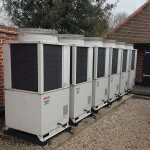 We have looked after the Heating, Ventilation, Air Conditioning and Refrigeration equipment at this prestigious property since 2012. As part of the hotel is a Grade I listed building, we have the additional considerations that are associated with the status of the building, as well as the challenges that are faced when working in a very busy hotel. We co-ordinate with the In-House maintenance teams and always follow the Hotel’s Safety Guidelines as well as our own HS&E policies. Kingswood’s responsibilities include maintaining the range of HVAC equipment at the Hotel, such as Split type Air Conditioning, Air Handling Units and our Refrigeration systems and includes Daikin, Mitsubishi, Colt, Mercury, Sanyo and Panasonic.